So this is my own little, epic project. 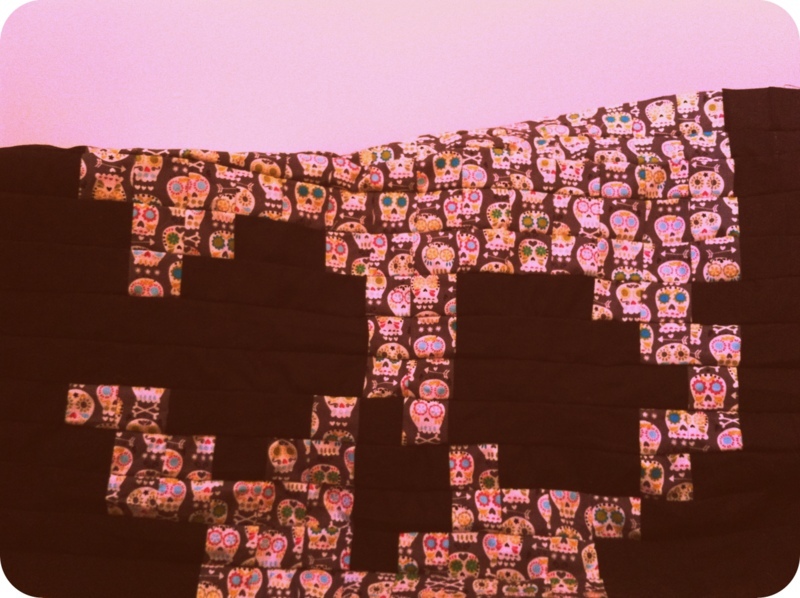 Not much to rival Aichee’s xstitch vs Paul Robertson (which is just a piece of artwork, check it out if you haven’t already) but my own little, big project. 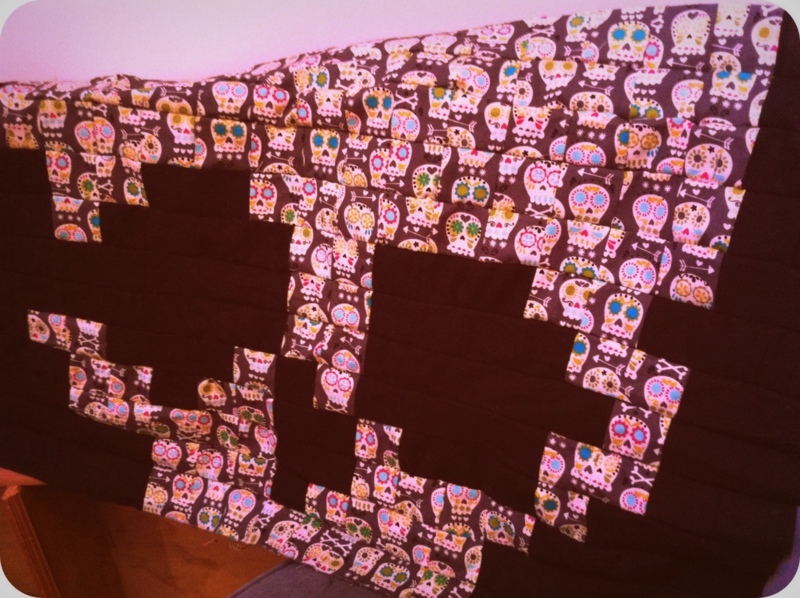 It all started with some real nice Michael Miller fabric and a pixel skull image. Due to a few minor set backs; running out of fabric and broken sewing machines the project lost a bit of momentum. BUT, now it is getting close to the finish line and I am a wee bit excited about it. Final purpose = undecided, but I am thinking a little picnic blanket for Betty to use on HoB excursions. I thought it was worth sharing with HoB and hopefully I will be able to upload the final project soonish. Anyways I hope you like what you see so far …. Hi, I'm Jessica and I like making lists. Luckily my job is pretty much about making lists and then making the stuff on the lists happen. So I shall start as I mean to go on; I am obsessed with Scandinavian design, my two cats Eric 'n' Charles, anything in leopard print, cake, knitting, pom poms, stitching, paper craft, glitter and generally crafting things with my friends.